We receive this question several times a week by e-mail or on DaytraderLand’s Facebook page. So, we will guide you with this article to choosing the right broker and trading platform for you. There is not one trading platform that fits all daytraders and their individual needs. We hope that this guide will guide you beyond some significant pitfalls and in the right direction. Our guide is based on the same selection criteria that we apply when we review trading platforms here at DaytraderLand.com. It is important that you find a broker with a high level of security. Your capital must always be safe with the broker – but equally important – so you always know your overall financial risk by trading with them. What depositors do they offer? Can you lose more money than you’ve added to your account? Let’s explain each of them. If the broker has been in the market for many years, there is a high probability that it is a respected company behind the platform. In other words, if they had disappointed a lot of daytraders along the way, they were probably shut down – or had changed brand – a long time ago. So that’s a positive relationship if a broker has been at least five years in the business. There are generally several categories of licenses. The best thing is if they have a European license and are regulated in London, Zurich or similar financial capital, where the license actually means something and costs a lot of money to be awarded. It is also possible to get a financial license on eg. Cyprus, but it requires far less security. Likewise, the requirements for obtaining the license are far fewer and less restrictive than a license in eg. London under the Finanical Conduct Authority (FCA). There are also a number of brokers who have a financial license outside Europe. This does not necessarily mean that the license is worthless. But in any case, it means that it is difficult to assign it a great value, and to relate to the conditions associated with the issue of the license. It is always best to trade with a broker who has a license close to you geographically, as such is subject to local laws and regulations. It also astonishes many to find that they do not actually trade with a ‘real’ broker, but just at a broker that is at best called for an online casino. These types of brokers do not facilitate trades between buyers and sellers, but they themselves take the financial risk (= take the other side of your trade) and do not actually send your order through to the “real” market. Keep in mind that these types of brokers are based on a business model where they will constantly attract new customers with aggressive marketing campaigns. They make sure that customers lose their money with them. Once that happens, they will have to find new victims with their aggressive sign-up bonus and corresponding tricks. It’s not reassuring to know that you’re trading with a broker who earns money every time you lose money. The contradictory interest between the day trader and the broker often causes many mysterious episodes as technical problems in connection with stop-loss and other technicalities. There are many scary stories about how the broker ensures that talented daytraders do not beat the broker long term. Yes, you almost wouldn’t think it was possible, but there are actually many brokers and trading platforms that operate completely without any license and thus are not subject to any financial supervision or restrictive laws. It usually works out for them for a period of time until local financial supervision starts to warn against the companies concerned. What depositors do they have? It may happen to even the best brokers that they have made dispositions that endanger their business base. Even the Danish SaxoBank achieved at the start of 2015 a loss of just over half a billion in just one day when the Swiss franc were unpegged from the Euro. As mentioned above, there are a number of trading platforms that do not actually conduct trading transactions in the market because they trade against their customers. That business model has been very good for the brokers for a long time, but once in a while, it goes awfully wrong. You should think carefully about that and make sure that your money is protected by a depositor guarantee. Most serious brokers offer that to everybody. If you have a deposit on your trading account that exceeds the deposit guarantee, talk to your broker and hear if it is possible to transfer a deposit to a separate trade account – or possibly to a family member’s name. It would be horrible to lose your entire deposit because you have chosen a junk broker without their things in order. Can you lose more money than you’ve deposited in your account? One of the advantages of being a day trader rather than a speculator or long-term investor is that we can sleep at night without worrying about waking up next morning and losing a fortune due to an out-of-hours news event that has led to a gap in the market. When a day trader stops working, he is by definition out of his positions and no longer has the risk of losing money. But what happens if your stop-loss for some reason is not getting through to the broker? Many often experience these kinds of technical problems and funnily enough most often with brokers who trade against their customers and make money from their losing customers – like at an online casino. It is always important to investigate who is responsible if the technical fails and to check if your trading platform offers a guaranteed stop-loss either free or at a satisfactory price so that you can limit the damage if the accident should strike. You should always check what happens if the accident – unexpectedly – strike so you avoid getting into a situation where you end up losing more money than your account balance. Many trading platforms do not even advertise with the fact that, when accepting their terms of business, you are personally unlimited liable for any loss or claim. With the most serious trading platforms and brokers, you can never lose more money than the deposited amount of your trading account. This, on the other hand, provides good opportunities for reducing the amount of the trading account and subsequently making some very speculative transactions without having to risk being able to get too much outstanding afterward. This selection criterion is somewhat easier to assess. Of course, the most important thing is that the broker offers the products you want to trade. Do not let yourself wonder how many thousands of other products they have in the portfolio. Stay away from products that you do not fully understand. The same applies to binary options; It simply does not make sense to trading binary options. You are doomed to lose over the long term. This is probably the most important selection criterion. What do you think of their trading platform? If you have not tried their platform, then start with a free demo account and test it carefully before you transfer money to the broker. No matter what others say and think of the trading platform, it’s you who should be happy with the platform. Do they have a solution for your smartphone or tablet in the form of an app or at least a mobile-friendly website? There are too many new daytraders who focus too much on trading costs at an early age in their career as daytraders. Of course, trading costs are an important cost, which must be reduced as much as possible. But it is even more important that you trade at a broker where you feel safe and on a trading platform that meets your unique wishes and requirements. It is relatively easy to compare trading costs across trading platforms, but remember to do so when markets are open so you get a consistent picture. Also pay attention to other costs besides spread on your trades, which may not be presented on the front page of the broker. The broker’s charting package is a bit personal because we all have a wide variety of needs and wishes. Possibility to trade directly through the graph. Possibility of different ways to display the price (graph types). All brokers have customer service, but there is a big difference in the service levels. It is always important to make sure, or at least, to know what level of customer service the broker provides. When can they be contacted? As a rule of thumb, we recommend that a broker should be able to be contacted by telephone or live chat 24 hours a day on all five weekdays. Do they offer customer service in Danish by e-mail and telephone? If you are not completely confident in communicating in English, go for a broker who offers customer service in Danish by email, live chat or by telephone. What do you do if something goes wrong outside of their normal opening hours? Unfortunately, technical errors occur. Who can you come in contact with? We recommend all daytraders – new and old – always to start up with a demo account when trading with a new broker. 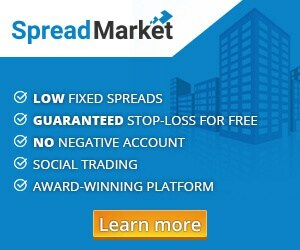 It is standard with the serious brokers that you can try their trading platform without a deposit for at least 30 days. Try things carefully before choosing to trade with real money. If there is something that you are in doubt about, please contact your broker in advance and get answers to your questions or maybe even a demonstration of the platform. In addition, a demo account can be used to test a new trading strategy without the risk of using real money. You should not underestimate that kind of thing. Watch out for Greek gifts. As such, there is nothing wrong with receiving free bonuses from your broker when you sign up for their trading platform. But you should always think and ask yourself, “Why do I get this gift?”. Basically, the best trading platforms and brokers do not do anything special to attract new customers if they have the best product, the best prices, and the best conditions for the customers. So why do some brokers do it anyway? If they even offer you a bonus to get back to them after losing your account balance, they’ll resemble an online casino more than a serious broker you can trust. This suggests that they have opposing interests. If a broker offers you $ 500 in bonus if you deposit $ 500 on your trading account rarely means you get $ 500 free. There are always certain requirements that must be met before the bonus can be realized. So, make sure you understand the bonus requirements to the fullest before you attach too much value to it. This was our guide on how to choose the right trading platform and broker. We do not hope that you get frightened away from daytrading, but you’ve got food for thought when choosing a new trading platform. The above is just a checklist. You choose the values you deem to be the most important to the individual selection criteria. We are currently reporting a number of platforms. Read more here. If you have questions or comments about this guide, please write a comment below.